T-Mobile’s @Work customers who have purchased a Samsung Galaxy S8 or Galaxy S8+ are eligible to receive a free DeX docking station that’ll allow you to use the new Samsung device with a full-size keyboard, mouse, and external monitor for running full, desktop-sized applications as well as full remote desktop support. Subscribers part of T-Mobile’s @Work program who purchased a Galaxy S8 (or S8+) between March 29 and May 10 will be automatically notified if you’re eligible to receive the dock. 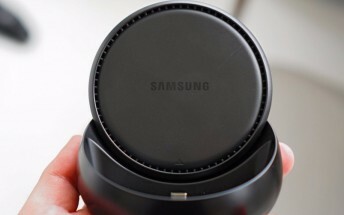 If you haven’t been notified and meet the eligibility requirements, you can head to this link and register before May 30 to receive a free Samsung DeX.